The Easy Crease Machine is simple to use. 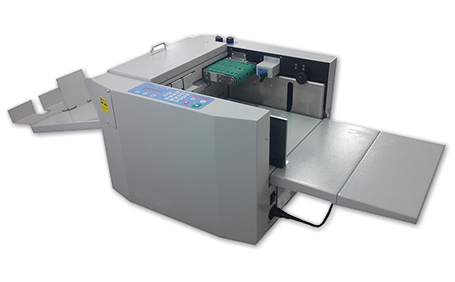 It has a unique air feed which can be setup to work with your paper and is usually only seen on machines at double the price, plus a skew adjustment to correct paper and print skew. From around £32 per week the Easy Crease Machine is under half the cost of other machines which do a similar job. With this machine you will see an immediate return on your investment with the time savings that it will afford you.